For the next generation of enterprise Wi-Fi solutions, the future is here. Stay ahead of the game by deploying a Cisco infrastructure that supports the latest in 802.11ac standard and provides mobile devices with industry-leading bandwidth. Customers and employees can now take advantage of faster wireless speeds for an overall better experience. I like the fact that customer service was easy to get up with as well as very nice to talk to regarding products. I had always worked with them with ease. Even though we have issues with the product itself, we have been made aware that it was our location that was our hindrance rather than the product. My dislike is with the product itself. In my area, I could not get a great service and would often lose service for a time. The great customer service is what extended our time with the company. Even though we have issues with the product itself, we have been made aware that it was our location that was our hindrance rather than the product. Our problem with the Cisco 802.11 ac was that the product would never work to the full functioning that we expected. It never worked properly, even after our countless service calls as well as tech work at our office. What Wireless LAN Controllers solution do you use? Provide an always-on, always-available network experience while accelerating your business. Get a highly secure network that is faster, more flexible, and easier to deploy. Get your network digital-ready with our intelligent controllers. They'll help scale a small, midsize, or large enterprise network. The Mist platform can be fully operated and managed through a programmable cloud that includes microservices and an inline AI engine to deliver superior scalability, agility, resiliency, and insights. * We monitor all Cisco 802.11ac reviews to prevent fraudulent reviews and keep review quality high. We do not post reviews by company employees or direct competitors. Validated reviews require the user to submit a screenshot of the product containing their user ID, in order to verify a user is an actual user of the product. Hi there! 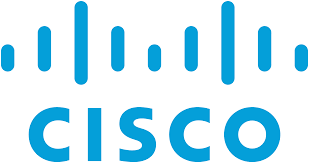 Are you looking to implement a solution like Cisco 802.11ac?